78 subject and 77 examination center all over India. Its expected tat UGC will upload official answer sheet / answer key of all set and question paper of all subject within the last week of this month. After that UGC will invited the feed from the participant online. After that answer key will be reexamined and updated where necessary before finalizing the final results. So usually this process and procedure would take at least 2 to 3 month so most probably its expected that results may be announced at the end of march of 1st week of April. Last year only 39226 candidates were declared qualified for the eligibility of lectureship out of these 39226 candidates, 3669 candidates were declared qualified for junior Research fellowship or JRF. 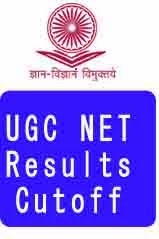 UGC has notified the process how they will calculate merit lists, cutoff lists for declaring the results of NET and JRF which was held on 29 December 2013.
for lectureship only. A separate merit list for the award of JRF will be prepared from amongst the NET qualified candidates figuring in the merit list.